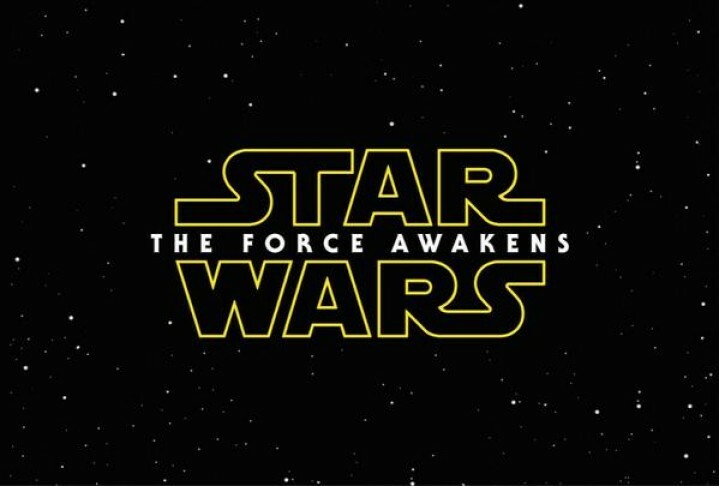 Star Wars Episode VII: The Force Awakens Teaser Trailer! The Force Awakens Teaser Trailer! Julia Pennyworth battles valiantly against Hush in Batman Eternal #34, which sets in motion a chain of events that result in the Dark Knight’s world being shaken to the core like never before. State of Truth is another action packed issue of this weekly DC Comics series, with its densely plotted storyline from writers Scott Snyder and James Tynion IV, script by Kyle Higgins, and consulting writers Ray Fawkes, and Tim Seeley, providing us with a nail biting fight between Penny Two and Hush that really galvanises Julia’s role in Batman Eternal and elevates her standing as one of Batman’s newest, and perhaps most trusted of allies. The aforementioned fight is blisteringly violent, with no quarter given and none taken, and the ensuing aftermath – with the heightened tension caused by Julia’s plight – sees Batman facing a race against time to save her from an explosive end. The outcome is ingeniously devised, and there are a couple of heart stopping moments that will keep you guessing too. With Lucius Fox dealing with the backlash against Wayne Enterprises because of its involvement with Batman’s hidden weapon caches, the Mayor and Commissioner Bard continue to put pressure on Fox to deal with the situation. Meanwhile in the cave, Batman notices that Hush has accessed another cache in a location that holds a great significance for both of them, one that inexorably leads them towards a decisive confrontation. Alvaro Martinez does a great job with the art for Batman Eternal #34, together with Raul Fernandez’s Inks, and colors by Brad Anderson, they maintain this weekly series high standard of art to deliver a stylishly crafted issue that seamlessly brings a distinct tone and style to each of the key locations featured throughout the story. The intensity of the fight between Hush and Julia is superb, its edge of the seat stuff, and you feel like you are right there with Batman as he frantically claws through the rubble to find her. The scenes at Wayne Enterprises and the Batcave set everything up for the brutal showdown between Batman and Hush; which unfolds over the final pages utilising impressive and dynamic panel layouts that really draw you into the heart of the action. Batman Eternal #34 continues to impress with its diverse cast of characters, great story and art, and this issue in particular propels the main story-arc towards a startling turning point that few could have predicted. Everything the Dark Knight stands for is about to come crashing down around him. 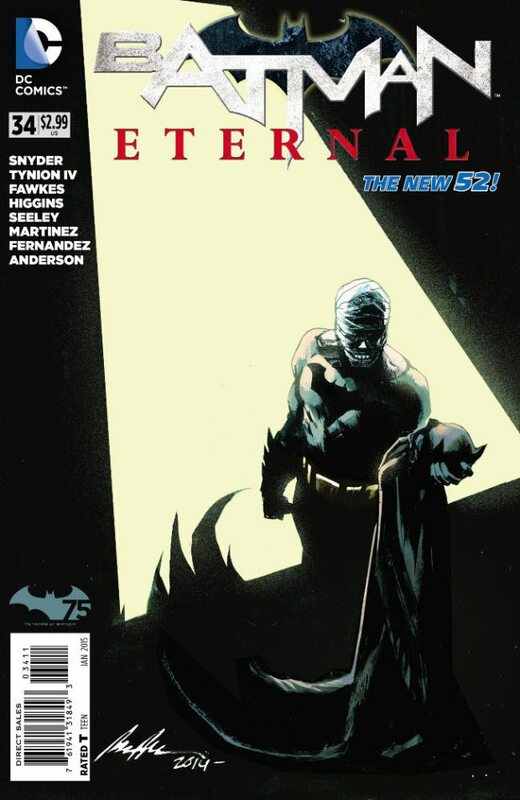 This is one of the best issues so far in this weekly series, tautly scripted and visually striking, Batman Eternal #34 holds dark portents for Gotham, Gordon, and even Bruce Wayne as the full scale of Hush’s grand design finally becomes clear! Andrez Bergen, Bullet Gal, Bullet Gal #6, Bullet Gal #6 Review, comics, Depth Charging Ice Planet Goth, Heropa, IF? Commix, Mizi, Tales to Admonish, The Crime Crusaders Crew, Tobacco Stained Mountain Goat, Who is Killing the Great Capes of Heropa? Bullet Gal #6 continues the prequel IF? Commix book series from Australian author Andrez Bergen, the writer of the acclaimed superhero noir-styled detective novel Who is Killing the Great Capes of Heropa? , and IF? Commix series Tales to Admonish. Following the release of his graphic novel Tobacco Stained Mountain Goat and the new novel Depth Charging Planet Goth, Japan based writer and artist Andrez Bergen’s latest IF? 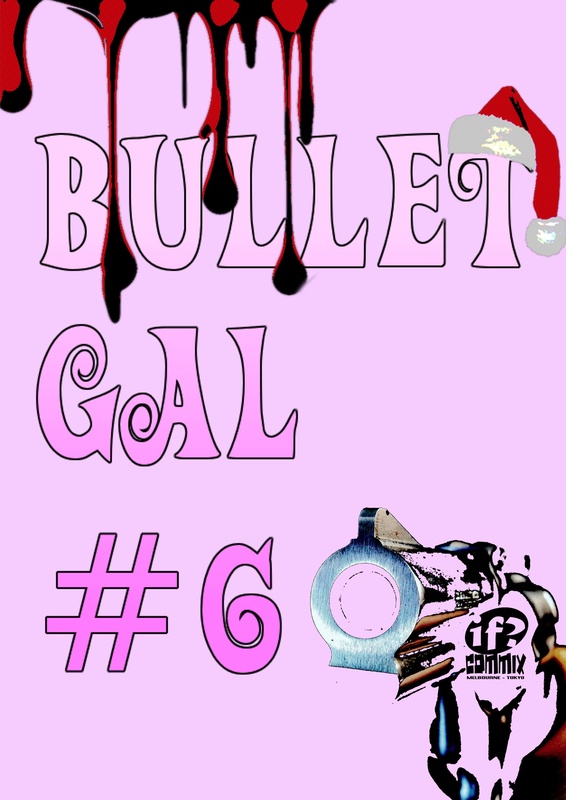 Commix issue, Bullet Gal #6 will be published in print form in December 2014 in Australia. The Prolonged Adios follows on directly from Mizi’s encounter in the bar with the other version of Lee, the serious one as she calls him, after he reveals that “her” Lee’s body has been exhumed and stolen from the graveyard. The revelations continue as the new Lee quickly brings Mizi up to speed about the city of Heropa, divulging a secret that effectively turns her life, and world, upside down in space of a few distinctly sobering heartbeats. Inter-cutting flashbacks in the bar with the brutal opening moments after Bullet Gal has been shot, Andrez Bergen skilfully ramps up the tension, sending Mizi’s guilt-ridden memories on a delirious trip down the rabbit hole while her lifeblood drains away into the gutter – a crimson penance she almost seems to welcome as payment in kind for her past deeds and letting her guard down at this crucial juncture. Bergen’s noir-infused art, with its striking use of painting, digitally enhanced photomontages, and bold symbolic imagery brings the hyper-stylised world of Heropa to life on the page with an intoxicating clarity that completely immerses you in the situations unfolding on the page. At some points it almost feels like you are there with Mizi: sharing her bewilderment at Lee’s statements, you will accompany her down that dark lonely street, her anger and resentment washing over you every step of the way, before you too are sent tumbling to the pavement and left questioning reality itself as you watch Mizi’s life gradually ebbing away. The psychedelic nature of what Mizi experiences as she teeters on the brink of death is another tour-de-force from Bergen, and it is this pixelated fusion of reality and fiction that masterfully engineers one of the most audacious plot twists we’ve seen so far over the course of this IF? Commix series. Bullet Gal #6 also contains an intriguing Epilogue to the main story featuring the Cabal of Lee duplicates, and it seem that sinister plans are afoot following the disclosure that one of their number has been compromised. Then we have the IF? Commix Mini-Feature: The Milkcrate Man, there is a great Bullet Girl poster by artist Claudia Everest, and the issue rounds off with another fun edition of Dejavu at the Neon Bullpen. Bullet Gal #6 rounds off with a thrilling double-edged cliff-hanger as Mizi clings desperately to life, while somewhere behind the façade of an innocuous looking shop front, mademoiselle Brigit ruthlessly enforces her late “mere’s” sound advice to deal with a subordinates failure and bring Bullet Gal’s crime fighting days to an end. Bullet Gal #6 takes the series in an entirely new and unexpected direction, with its innovative story and art by Andrez Bergen, this outstanding pulp noir saga continues to impress on every front. 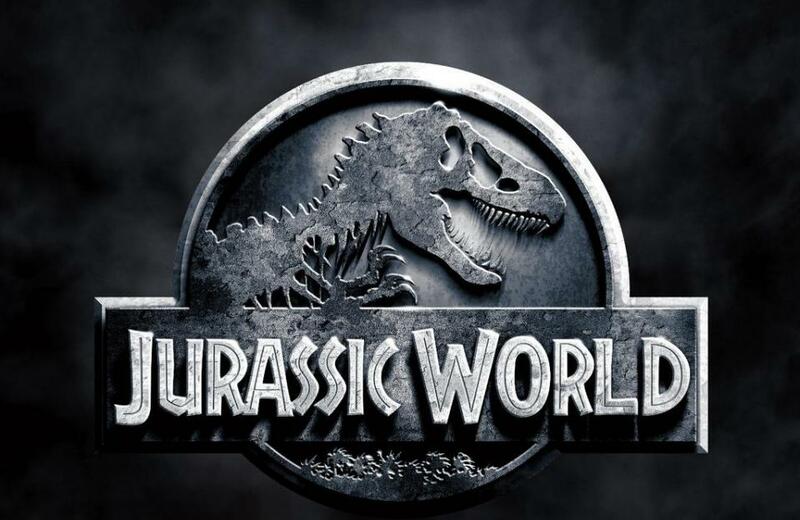 Check out the new official trailer for Jurassic World! 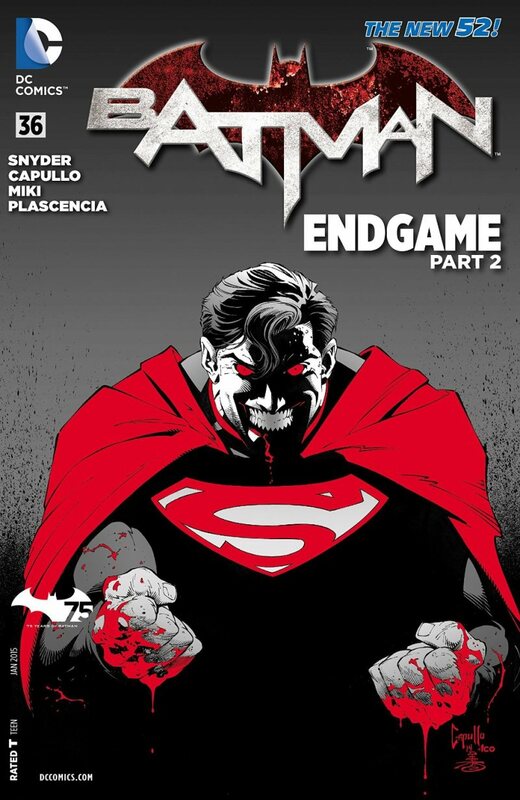 Batman Endgame continues in Batman #36, the second instalment of Scott Snyder’s and Greg Capullo’s major story event for Batman’s 75th anniversary, and if your thought last issues smack down with the Justice League was epic, then you haven’t seen anything yet! Seconds out, this is round two, and its not just the fan boy dream showdown between Batman and Superman, its Batman vs. Superman by Snyder and Capullo firing on all cylinders in an issue that delivers waves of action-packed spectacle and dark anarchic horror that constantly wrong foots and defies any and all preconceptions that you might have had about this issue. Yes, it’s a no holds barred, red knuckled free for all of a fight between Batman and Superman! The resolution of this titanic battle is, needless to say, ingeniously devised by Snyder and certainly gives us plenty to chew over for the next time we all have that inevitable discussion about who would win a fight between… Oh boy, the marketing possibilities here are mouth watering! Anyway, back to business Bat-Fans! With the Justice League out of action for the forcible, while the antitoxin Bruce devised to counteract this particularly nasty strain of Joker toxin takes effect, Alfred’s daughter, Julia, pledges to stay on and help as Penny Two. Her scenes with Bruce afford Snyder the chance to bring us further insight into the Joker’s warped psyche – but it is Alfred, still recovering from what happened to him in Batman Eternal, who gets the most rousing line of all as the Dark Knight prepares to assess the situation and deal with the Joker’s return. Greg Capullo’s art for Batman #36 captures the frantic intensity of every moment in the ground-shaking confrontation between Batman and the Jokerized Man of Steel. You can almost feel the pages trembling as every thunderous punch shakes Gotham’s streets while the Justice Buster suit dukes it out with Superman. The suit still has one or two tricks up its sleeve; despite the pounding it’s taken. Superman’s heat vision also becomes a fearsome weapon, fuelled by the effects of the Joker toxin; it’s used here with devastating effect. Danny Miki’s inks really bring the kinetic fury of this battle to life, with buildings smashing apart, and your have a real sense of being at the heart of the battle. FCO Plascencia’s colors bring a vividly clarity to Batman’s crimson hued countermeasure, before we explode into daylight and the carnage thunders towards its surprise conclusion. Right from the opening page, with its throwback to the nightmarish hallucinogenic trip Batman was enduring thanks to Scarecrow’s fear toxin that he was recovering from last issue, there is a hint that something far more horrific awaits the Dark Knight as Part 2 of Batman Endgame begins to unfold. It is perhaps fitting then that Snyder and Capullo take us to the one place in all of Gotham that could survive being dragged back to Hell, Arkham Asylum, now in ruins after the collapse, where Batman looks for some kind of answer into what, for him, is a place that holds a significance that rivals even that of Crime Alley in Batman’s legacy. These scenes in the Asylum are hauntingly ominous, steeped in menacing shadows, and it spins a web of mystery that entwines us with a joke more twisted and dark than anything we could’ve possible imagined. The inevitable reveal of the Joker and his confrontation with Batman is masterfully handled here, with Snyder piling on the tension, right up to that startling final reveal, were Capullo, Miki, and FCO collectively ensure that this sublime moment of shock and terror will become one of Endgame’s defining moments. Hell, yeah, we’ve missed you Joker and it damn good to see you back! Batman #36 also features the terrific backup story, Saved, written by James Tynion IV, with art by Graham Nolan, and colors by Gregory Wright, that continues the tale of the five escaped inmates from Arkham that have kidnapped Doctor Zaheer. The inmates have been tasked with telling Doctor Zaheer their stories by the Joker, this time it’s Cordellia’s turn to recount her story as they all take refuge in a restaurant, and it’s an disturbingly macabre tale that belies its everyday setting to become an unflinchingly dark and monstrous descent into madness. The way that this backup story links into the Joker-apocalypse being set up in the main arc of Endgame is brilliantly handled, and poses some really chilling possibilities for future issues. We’re only into the second part of Endgame but I’m absolutely hooked already. Snyder and Capullo make the Joker so evil and menacing. The fight with the Justice League was just the prelude to the main event, now the real game begins, and this time the Joker is playing for keeps. Batman #36 is a riveting issue from beginning to end, expect the unexpected and then double it, because Endgame is shaping up to be one of the best Batman stories ever! Death in Heaven concludes the exciting two-part series eight finale, as the Cyber-Invasion continues in this special hour-long episode, written by show runner Steven Moffat, and directed by Rachael Talalay. Now that the secret of the “Promised Land” and Missy’s true identity has been revealed, the dark and ominous tone of this this action packed season finale kicks into high gear as Steven Moffat engineers the mother all showdowns for the Doctor and his UNIT allies as they battle the combined menace of Missy and the Cybermen. While Clara tries to deceive the Cybermen that she’s really the Doctor, the Cybermen hidden in the Dark Water tanks at the 3W Institute begin to emerge onto the streets of London, where the Doctor, still reeling from discovering that Missy is his old enemy, the Master, can only look on helplessly as the Cybermen march past St Paul’s Cathedral towards the unsuspecting civilians. 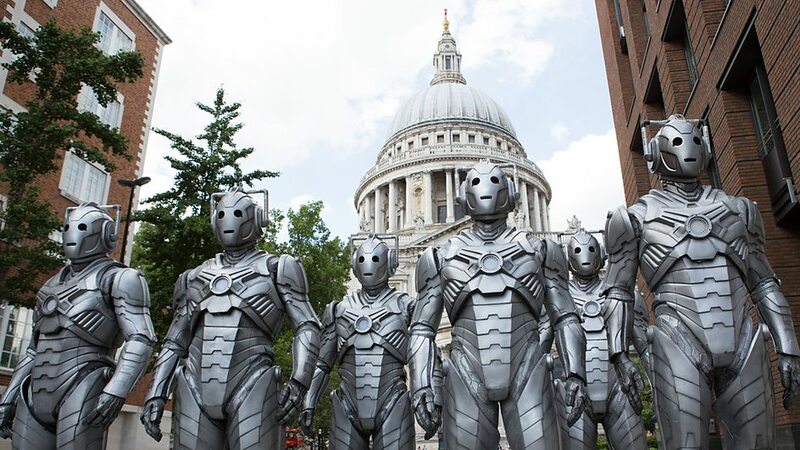 Missy encourages people to take selfies with the Cybermen, giving the concealed UNIT forces time make their move, but even though they capture Missy the dome of St Paul’s cathedral opens and 91 Cybermen take to the air – except for one that remains and explodes over London to unleash a deadly cloud of Cyber-Pollen. Missy gleefully informs the Doctor, Kate Stewart, and Osgood the Cybermen will target the other key areas of significant population density in the UK to spread the Cyber-Pollen – something the Cybermen are now doing simultaneously on a global scale in every town and city around the world. 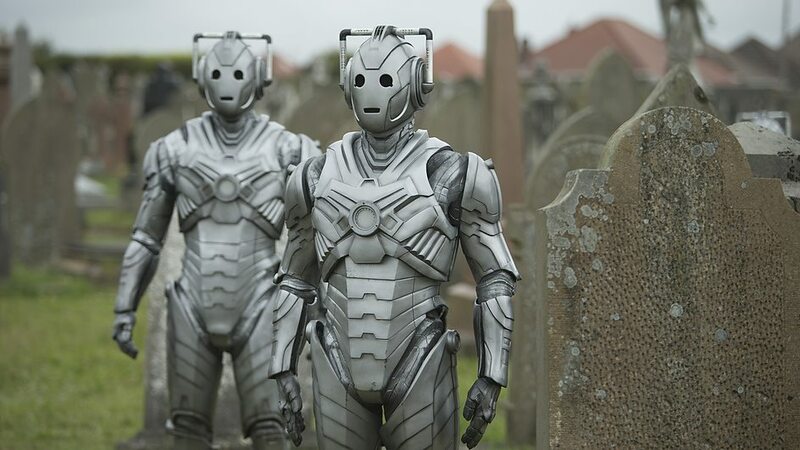 As the dark clouds gather over graveyards, funeral homes, and mortuaries, the rain starts to fall and the Cyber-Pollen begins its heinous work – infusing the corpses of the dead and reanimating them as Cybermen. Steven Moffat rounds off series eight of Doctor Who in fine style with Death in Heaven, building on the deeply unsettling premise established in Dark Water (Where all of Earth’s dead had been transformed into a Cyber-Army, their minds stored in the Nethersphere – a Gallifreyan Hard Drive – were their emotions are subsequently deleted before transplantation back into the Cybermen), to provide a harrowing and emotional roller coaster ride for the Doctor and Clara that will test their friendship to the limit. Needless to say, Peter Capaldi is superb as the 12th Doctor in Death in Heaven. 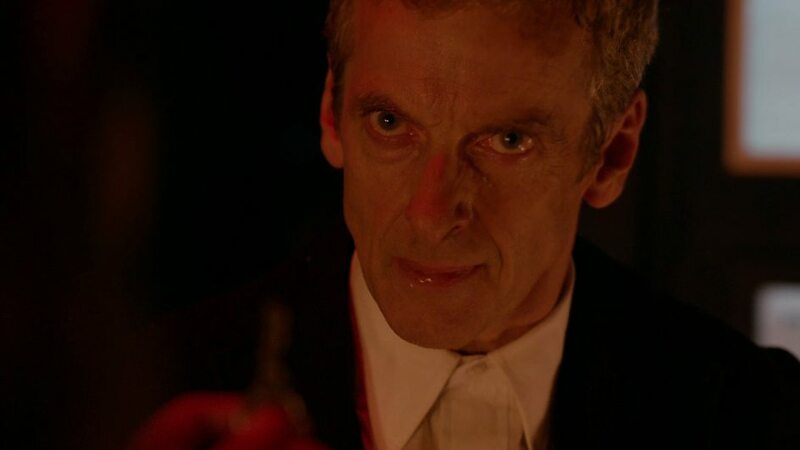 Here we see just how dark and uncompromising this incarnation can be, and Capaldi delivers an absolutely magnificent performance that will have you on the edge of your seat. Jenna Coleman is also brilliant as Clara Oswald, whose character has constantly evolved over the course of series eight, and the culmination of the events and decisions Clara ultimately makes in Death in Heaven makes this arguably one of Coleman’s best episodes to date. Death in Heaven also marks the welcome return of UNIT to help the Doctor fight the Cybermen and Missy. Peter Capaldi’s 12th Doctor has constantly voiced his dislike of the military since his regeneration, which creates a really interesting dynamic here as he’s forced to work alongside the Brigadier’s daughter, Kate Stewart (Jemma Redgrave), together with Ossgood (Ingrid Oliver), now sporting an 11th Doctor style bow tie instead of the 4th Doctor scarf she wore in The Day of the Doctor (2013), and Colonel Ahmed (Sanjeev Bhaskar). The Time Lord takes to the skies as the newly appointed President of Earth, where he is given control of the worlds military forces and is expected to coordinate their retaliation against to the Cyber-Invasion. 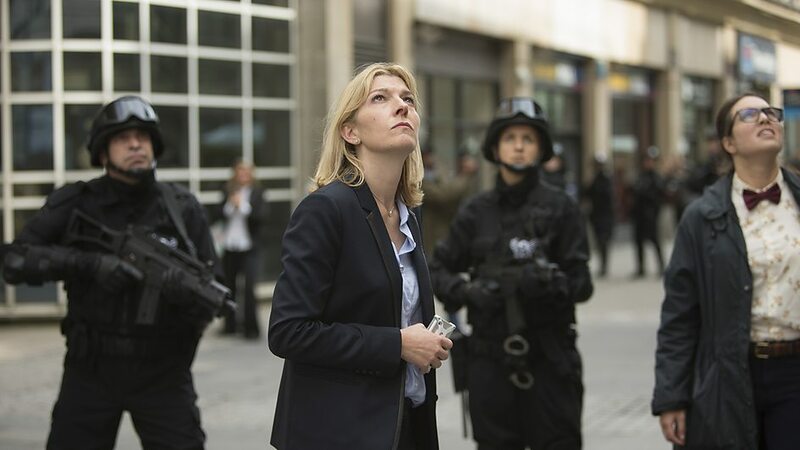 Its good to see Jemma Redgrave return as UNIT’s chief scientific advisor Kate Stewart, she gets some really powerful scenes alongside the Doctor, even confronting the Cybermen in London where she throws the head of an Invasion style Cybermen – that originally featured in The Invasion (1968) – at the feet of their new counterparts to make her point. When Kate brings the Doctor, the TARDIS, and the captured Missy to a special UNIT aircraft that serves as its secret mobile headquarters (just like her father Brigadier Lethbridge-Stewart used in The Invasion), there’s a great scene where the Doctor notices a portrait of Kate’s late father – its a fleeting moment; and one which resonates poignantly with events later in the episode. Transformed into a Cyberman, the moment where Danny awakens in the Chaplet Funeral Home is genuinely chilling. He saves Clara from the Cybermen at the 3W Institute and takes her to a graveyard, where Danny’s role becomes even more vital, and the groundwork already established earlier in the series really comes to the fore. The traumatic event that caused Danny to leave the army, when he accidentally killed a young boy (Antonio Bourouphael), continues to haunt him in Death in Heaven while his love for Clara remains undiminished, despite her lies, and she becomes his guiding light as he later confronts the most heartrending decision of all. The army of Cybermen created from the remains of every human being that ever died, is a deeply unsettling concept, and one from which Steven Moffat skilfully wrings every ounce of horror from as we witness Clara stumbling through a graveyard just as the Cybermen begin to rise from the graves. Danny’s Cyber-resurrection in the mortuary is another scary scene that’s sure to send a few chills down the spine before the realisation of who he actually is begins to sink in. The Cyber-Pollen is perhaps the most grotesque use of cyber-technology that we’ve ever seen in Doctor Who, used to weaponise the dead, the Cybermen have created the ultimate form of Cyber-Conversion, and the way its implemented in this episode is truly horrific. These Cybermen also have a new ability, the power of flight, and their chest units emit a scanning beam to try and validate Clara’s identity when she tries to buy herself more time by pretending to be the Doctor – a witty subterfuge that cleverly spills over into the opening titles of the episode to keep us guessing. It doesn’t take Missy long to orchestrate her escape, she ruthlessly kills Osgood, and summons the Cybermen to attack the plane mid-air. I was really surprised when Osgood was killed, and the senseless nature of her sudden death left us with no doubt just how evil and manipulative Missy can be. When the Doctor confronts Missy he’s horrified by what she’s done to Osgood, but when the Doctor receives a call via the TARDIS from Clara whose just discovered that Danny is a now a Cyberman, Missy finally reveals that she was the one that originally gave Clara the phone number to the Doctor’s TARDIS in The Bells of St John (2013), and she also put advert in the paper in Deep Breath (2014). Missy is the person who brought the Doctor and Clara together, the control freak and the man that should never be controlled, and the irony of her grand design to keep them together really hits home as the Cybermen tear into the fuselage, sending Kate Stewart plummeting to her doom before Missy teleports away and the plane explodes. The special effects used to bring us the Cybermen’s attack on the plane are stunning, the action doesn’t let up for a single moment, and the aftermath of the aircrafts destruction throws the Doctor into a nail biting freefall towards the TARDIS. The gender reassignment for the Doctor’s old enemy, the Master, has given the renegade Time Lord a whole new lease of life as the gloriously twisted Mary Poppins-like incarnation known as Missy – the woman that we’ve seen welcoming the recently deceased in series eight after they’ve arrived in the faux afterlife of the Nethersphere. Michelle Gomez gives a wonderfully villainous performance as Missy, successfully channelling the sinister charm and menace of the Master with a mischievous twinkle in her eye as she revels in her evil scheme. The scene where she kills Osgood, initially taunting her, and then crushing her glasses underfoot after killing her is really cold. Missy’s scenes with the Doctor are the real highlight of Death in Heaven, especially when she taunts him about killing his friends and teases him with her claims that she actually knows the location of Gallifrey. 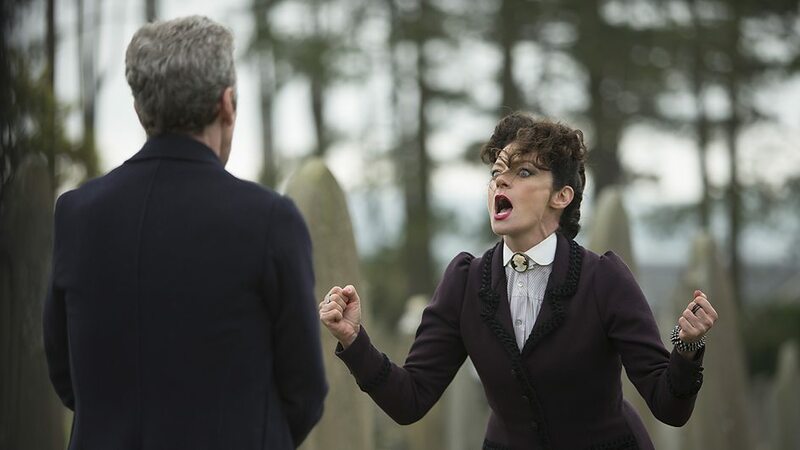 The chemistry between Michelle Gomez and Peter Capaldi is positively electric, their verbal sparing perfectly captures the essence of the classic rivalry between these two characters, and it certainly makes for a fittingly epic confrontation between the 12th Doctor and this new version of the Master. After using the TARDIS to reach the graveyard, where Clara is trying to activate Danny’s emotional inhibitor to end his suffering because even though he’s a Cybermen he has still retained his emotions, the Doctor is reluctant to help as he fears Danny will try and kill Clara after his emotions are deleted. The Doctor also needs to know what the rumbling storm clouds of Cyber-Pollen will do next, however, Danny informs him that in order to access the Cybermen’s hive mind his emotional inhibitor will have to be switched on. The Doctor reluctantly agrees and Clara tearfully says goodbye to Danny before using the sonic screwdriver to switch on the inhibitor. Danny reveals that a second rainfall is imminent, and this time all humanity will die and rise again as Cybermen. Missy teleports to the graveyard and offers the Doctor control of the Cyber-Army as a twisted birthday present for the Time Lord, so he can use them however he wants to save the universe from tyranny. Aghast that anyone should have such power, the Doctor rejects the offer, giving the control bracelet to Danny, whereby the former soldier takes command of the Cyber-Army and orders them to fly into the skies where they explode and destroy the Cyber-Pollen clouds. These riveting final moments of the battle conclude with a furious Clara threatening to kill Missy with her own weapon, and she’s angry that the Doctor hasn’t done so before. The Doctor intervenes, saying he will kill Missy for her, but before he can act a lone Cyberman suddenly fires at Missy and vaporises her. The Doctor and Clara discover Kate Stewart unconscious on the ground nearby, she’s still alive, and was saved by the Cyberman. The moment when it suddenly dawns on the Doctor that the Cyberman that saved Kate is her father, the Brigadier, also resurrected by the Cyber-Pollen, is both haunting and deeply moving, and the Doctor’s farewell salute to his old friend before the Cyberman soars into the sky makes this beautifully poignant scene even more special. Death in Heaven really shows what the Doctor and Clara are made of. We’ve seen over the course of series eight how both of them have been capable of making difficult choices that haven’t always necessarily rested easily with them, secrets and lies have also shaped and defined their adventures, so it is perhaps fitting that this series finale concludes with the Doctor and Clara not being entirely honest with each other. The coda that unfolds two weeks later as Clara meets with the Doctor to end her travels with him and say goodbye is tinged with sadness and deceit for both of them. I really liked how Dark Water and Death in Heaven were not quite as time twistingly complex as some of the previous season finales, instead we had the focus placed firmly on making it a more straightforward action-adventure, and I think that made these episodes all the more enjoyable. Sure, it’s not 100% perfect, few season finales ever are. The resolution to the cliff-hanger was initially a little stilted, with civilians taking selfies with the Cybermen, and I was really sad to see Oswin get killed. However, overall I thought Missy was an excellent foil for the Doctor, and the Cybermen were used effectively by the story and were really creepy in the graveyard scenes. Steven Moffat’s tense and exciting storyline was fast paced and skilfully brought all the elements of series eight together, and Rachel Talalay’s confident direction made this two-part series finale gripping viewing. 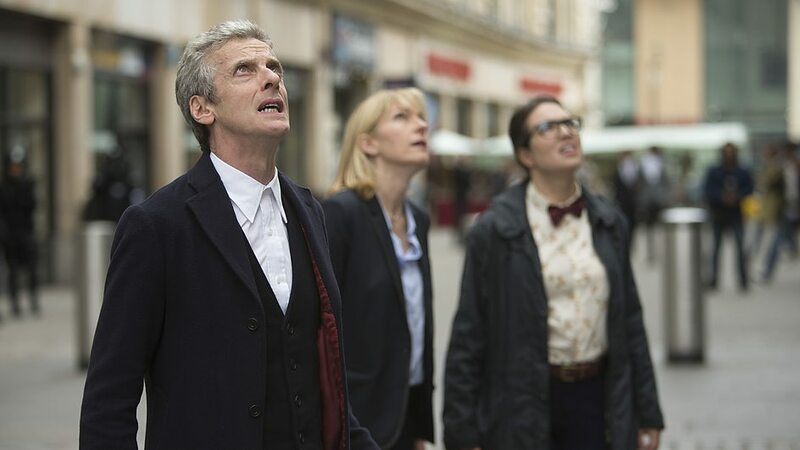 Death in Heaven was a great way to bring Peter Capaldi’s impressive first season as the 12th Doctor to a close. I’ve really enjoyed series eight, there’s been a great mix of stories, and the performances by Peter Capaldi and Jenna Coleman as the Doctor and Clara have been excellent. Samuel Anderson has also been exceptionally good as Danny Pink, and Michelle Gomez was superb as Missy. Peter Capaldi has completely won me over as the 12th Doctor, he’s proved to be a perfect choice for the role, and I can’t wait to see what happens next in the Christmas Special! The finale begins… Somewhere, in the mysterious realm of the Nethersphere, a sinister plan has been devised. When the secret organisation known as 3W promises “death is not an end”, the Doctor and Clara must face the darkest day of all. Missy is about to meet the Doctor at last, soon an impossible choice has to be made, and it is during this blackest hour the Time Lord will confront his old enemies – the Cybermen! 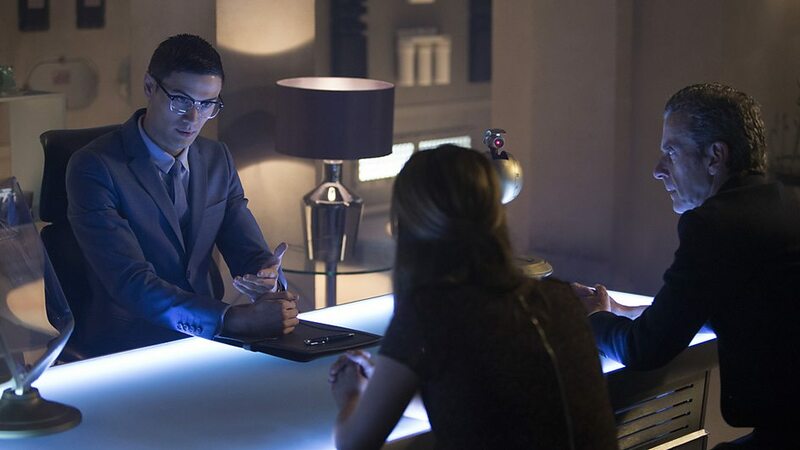 Dark Water moves the action to the Nethersphere for the start of this two-part season finale, with a story written by show runner Steven Moffat, and directed by Rachel Talalay. This deeply unsettling and dark episode doesn’t pull any punches as Moffat’s grand design for series eight begins to fall into place, tackling concepts of heaven and the afterlife as the mystery of the “Promised Land” is revealed – delving with unflinching clarity into the chilling life-after-death experiences that await in Dark Water when someone dies. When Clara decides to phone Danny while he’s on his way to her flat, tragedy strikes, and Danny is struck by a car and killed. Some time later, while Clara’s Gran (Sheila Reid) is visiting her flat, the Doctor finally answers Clara’s telephone call. Hiding her grief, Clara deceives the Doctor to get the TARDIS to a volcanic world, before attempting to force the Doctor to help her change what happened and save Danny – throwing the TARDIS keys into the lava each time he refuses to comply. However, the sleep patches Clara believes she’d managed to subdue the Doctor with have actually been used by the Time Lord to send her into a dream-like state, one that allowed Clara’s grief stricken scenario to play out – albeit harmlessly inside the TARDIS console room – so the Doctor could see how exactly far she was prepared to go to save Danny. Dark Water gets this two-part series finale off to a cracking start, with its harrowing opening scenes testing the Doctor’s and Clara’s friendship to breaking point. Peter Capaldi is magnificent as the 12th Doctor in this episode, he dominates every scene he’s in, and the sheer gravitas that Capaldi bring to his performance is utterly compelling. Jenna Coleman is also superb in Dark Water as Clara Oswald, whose role has now become so integral to the ongoing narrative of this eighth season, and this episode really rewards us with some major turning points for her character. Samuel Anderson also returns as Danny Pink in Dark Water, and his sudden demise in the opening moments initially leave you wondering if that’s his lot. Danny soon himself being welcomed to the unsettling realm of the Nethersphere, just like so many before him this series. Samuel Anderson gives his strongest performance yet as Danny Pink, his anguish at discovering he’s apparently dead, is heartrending to watch, and over the course of this episode we also discover the terrible tragedy that caused him to leave the army. Chris Addison (Peter Capaldi’s co-star from The Thick of it) is also excellent as Seb, a being who exists inside the Nethersphere as Missy’s assistant, and there are some terrific scenes between Seb and Danny as the real nature of this otherworldly realm is gradually revealed. In a brilliantly scripted moment between the Doctor and Clara by Steven Moffat, were even treachery and betrayal fails to diminish their timeless bond of friendship, the Doctor resolves to help Clara bring Danny back from whatever hereafter might exist. With the navcom offline, the Doctor has Clara use the telepathic interface to locate Danny (just like she did in the episode Listen), which brings the TARDIS to a foreboding mausoleum, where the individual tombs contain seated skeletal corpses immersed in a clear fluid. On closer inspection, the Doctor and Clara discover the mausoleum is the 3W Institute, and following their initial encounter with Missy (Michelle Gomez), who pretends to be a multi-function interactive welcome-droid, they encounter Dr Chang (Andrew Leung) – using the psychic paper to establish the Doctor’s credentials in a way that humorously references Capaldi’s former well known role as the foul-mouthed Malcolm Tucker from The Thick of it – who offers Clara the chance to talk to Danny Pink, via signals the institutes founder, Dr Skarosa, discovered in broadcast white noise signals that are believed to be telepathic messages from the recently departed. The horrific nature of Dr Chang’s and Seb’s claims, that the dead remain conscious and fully aware of everything that’s happening to them, provides a ghoulishly disturbing afterthought that takes this episode into some of the darkest territory that has been explored so far over this course of this series. The Cybermen make a dramatic return in Dark Water. Ever since they made their first appearance in the 1st Doctor’s final story, The Tenth Planet (1966), the Cybermen have become one of the Time Lord’s deadliest enemies. The Cybermen have undergone several upgrades over the years. 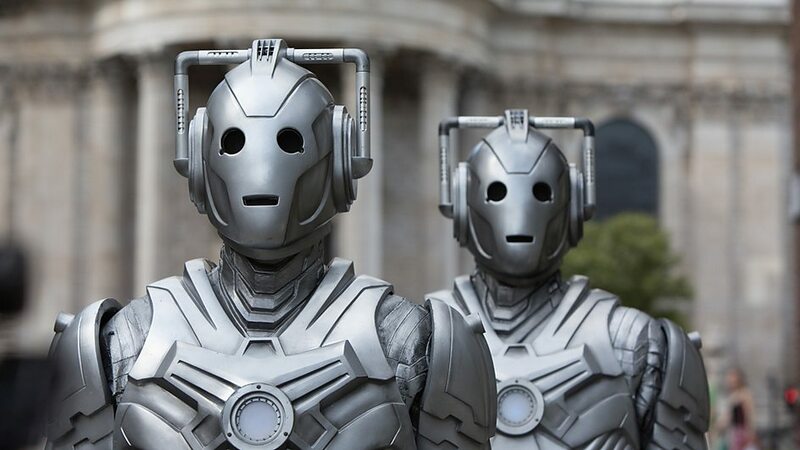 This latest version of the Cybermen, which debuted in Nightmare in Silver (2013), are sleek, fast, and have the ability to quickly adapt and repair themselves. 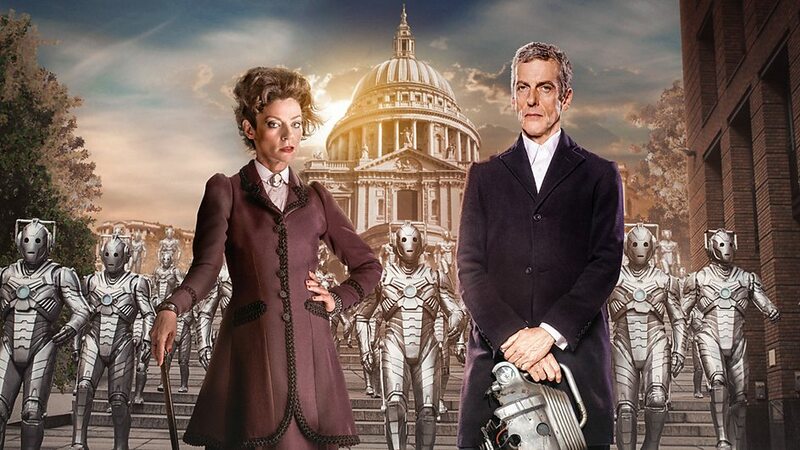 In Dark Water the Cybermen are in league with Missy, and this time they have ingeniously hidden in plain sight. 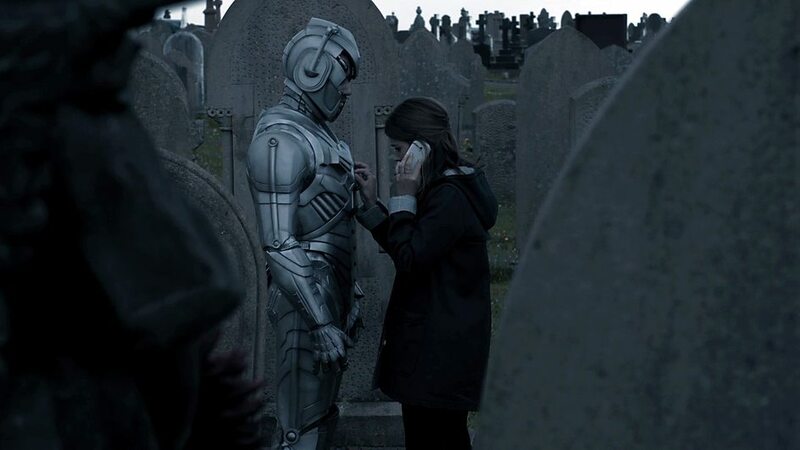 The skeletal bodies, which Dr Chang explained to the Doctor and Clara as being held in a support exoskeleton and suspended in a “Dark Water” solution that makes the exoskeleton invisible, are really the Cybermen – their metal bodies hidden because inorganic material cannot be seen in the liquid. Dark Water illustrates just how inhuman the Cybermen really are, perhaps more so than ever before, revealing how little organic mater actually remains within them to make the prospect of Cyber-Conversion seem even more grotesque, transcending the horrific loss of emotions and individuality, and taking the concept of body horror to the ultimate extreme as we realise how completely their victims humanity is stripped away. 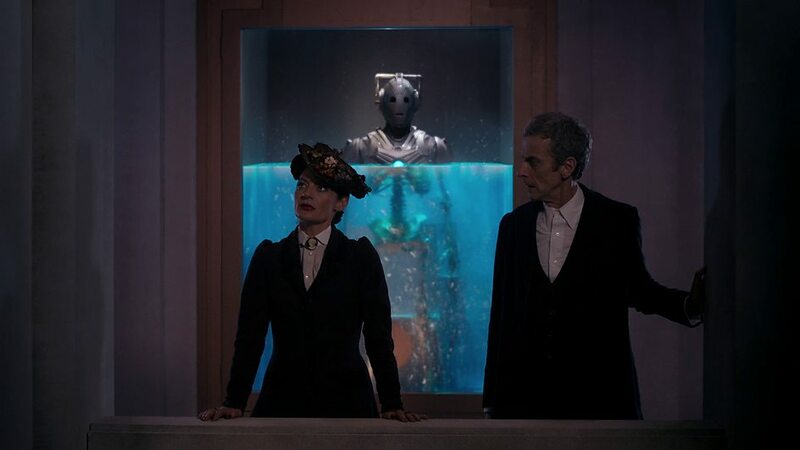 The tombs seen in the 3W Institute are reminiscent of the Cybermen’s frozen tombs in the 2nd Doctor’s adventure, Tomb of the Cybermen (1967), and when the Cybermen are unleashed in Dark Water, director Rachel Talalay portrays a Cyber-Invasion that re-creates one of Doctor Who’s most iconic scenes from the 1968 story The Invasion, were the Cybermen also invaded London and marched past St Paul’s Cathedral. 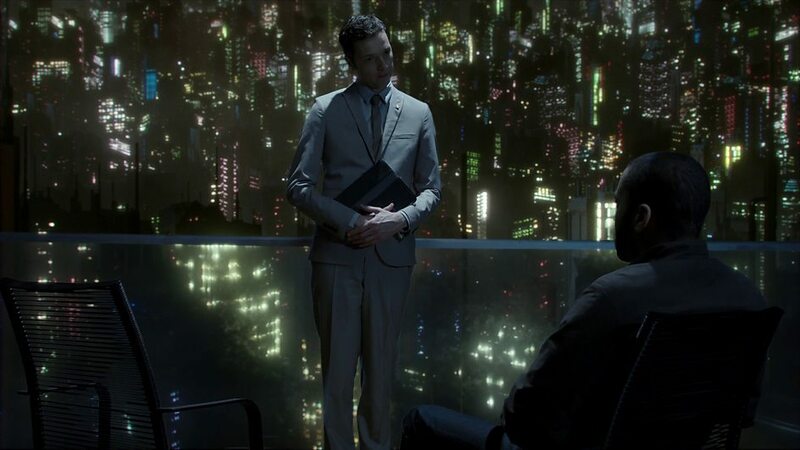 Impressive set designs, especially the doors and offices in both the Nethersphere and the 3W Institute, also carry subtle hints of Cyber-Design. Along with the chilling scenes with the skeletons in the tanks, the impressive visual effects also give us our first glimpse inside the Nethersphere itself as Danny contemplates the afterlife. 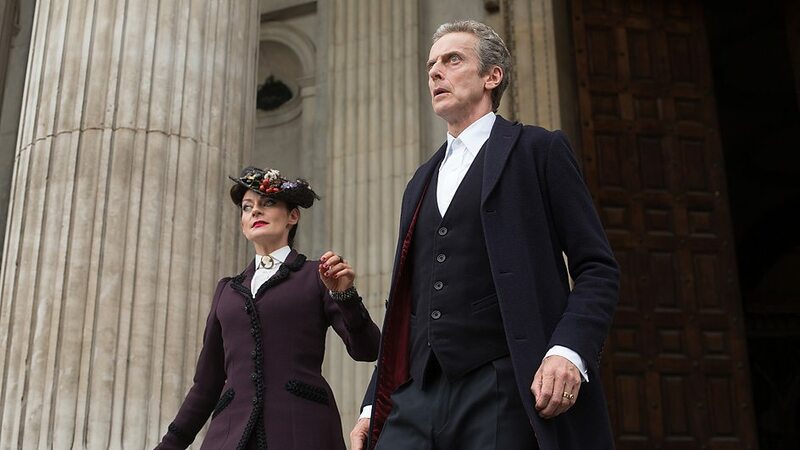 Michelle Gomez gives a mesmerising performance as the villain known as Missy, or perhaps we should say Mistress… Yes, the big reveal of the identity of this mysterious Mary Poppin’s like character that has been welcoming the recently deceased to the Promised Land (one of the many names the Nethersphere is known by) over the course of this season, finally happens in Dark Water. Missy is The Master, the renegade Time Lord and arch enemy of the Doctor! Now the Master is back, as a new female version of the classic villain, having forged a frightening alliance with the Cybermen that will take advantage of mankind’s biggest weakness – the fact that the dead outnumber the living – to strike against humanity in the most horrific way imaginable. The Master’s love of disguises is also utilised in this story, when Missy pretends to be a multi-function interactive welcome-droid, and she even kisses the Doctor at one point! 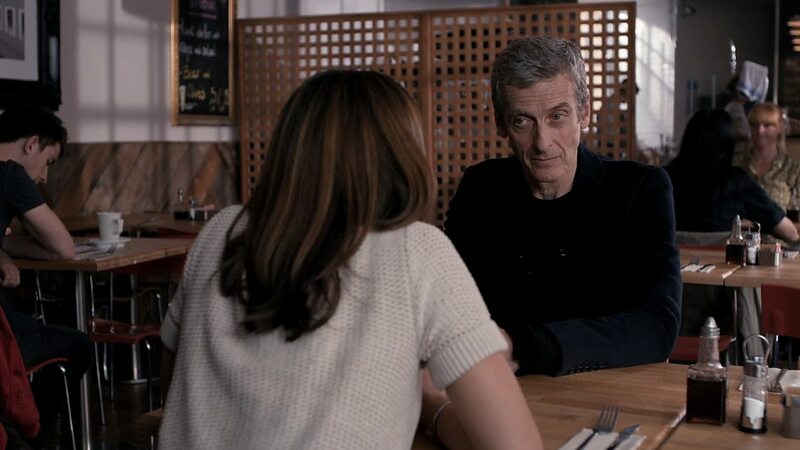 Michelle Gomez and Peter Capaldi both give incredible performances in Dark Water, the chemistry between them is brilliant, and this episodes cliff-hanger sets up a fittingly epic confrontation between the Time Lord and Time Lady that is sure to keep us on the edge of our seats. With its dark themes, excellent performances all round, great story by Steven Moffat, and taut direction by Rachel Talalay, the first instalment of this two-part series finale is an exciting and thought provoking episode. Dark Water certainly lives up to all the hype, it was great to see the Cybermen return to the series in a more prominent role as well, and I look forward to discovering the full extent of the Master’s grand plan in the concluding part of the series eight finale: Death in Heaven.